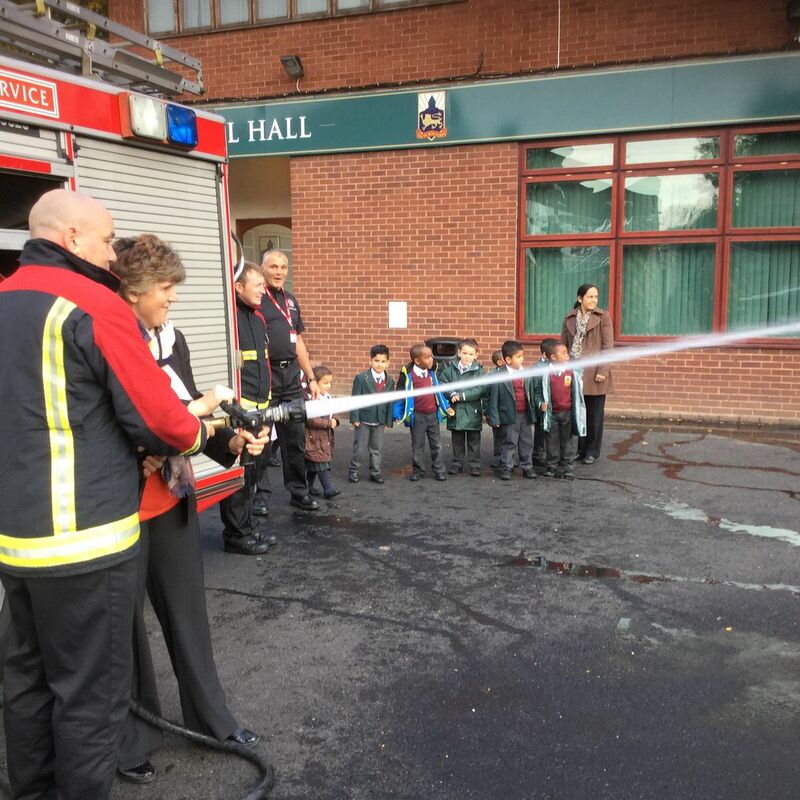 Thank you to West Midlands Fire Service who came to school to talk to our Reception pupils about fire safety, which is especially important seeing as Bonfire Night is just around the corner. We will also be starting a topic on ‘People Who Help Us’ after the half term holiday so what better way to start than learning all about fire fighters! The children had great fun looking around a fire engine and spraying water. Even Mrs Dowen had a go with the hose!